By junior year, Renee has had enough. High school was supposed to be her time, but between her friends and her family, she cannot seem to find happiness. Her brother’s dating life has caused her to lose countless friends along the way, and now her own relationship threatens to fall apart. In a matter of months, her soccer-star boyfriend, Wes, is set to graduate and is sure to get a scholarship that will take him hundreds of miles away. So many changes are on the horizon and Renee feels helpless to stop any of it, wishing everything could just stand still. But with everyone moving on around her, she knows she has important decisions to make. She needs to determine what must be let go, and what she needs to hold on to. 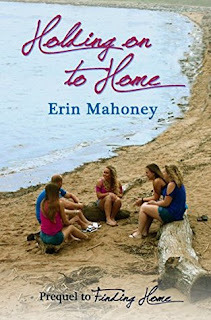 I want to give a thanks to Erin Mahoney for sending me a copy in exchange for a review! So sorry it took this long, but I appreciate your patience! Okay, I hate to say it, but this was not my cup of tea. I just found that this prequel made me really dislike Renee to another extreme. When I was reading her in finding home, she was cool although had her moments, but in this one where it's entirely in her point of view before Kiley shows up, and I just felt like everything was about her. I felt like Renee is really hard on Austin the entire time. I totally get the feeling of having an older brother who essentially does whatever he wants, but when she essentially stops being friends or talking to people because they start hanging out with him felt kind of childish. 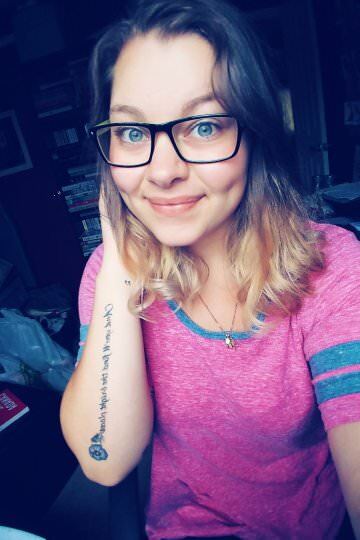 I felt like it was really hard to connect with Renee, but I could connect more with her friends and boyfriend. All of them were telling her to basically chill, and to not let whatever he does get to her. Clearly she doesn't wan to accept it, but all of the things that they were saying to her were so TRUE! I think for me what kept me going was that they had discussion of colleges and there actually were so many moments where Austin kind of surprises you with how he responds to the way Renee is acting, and I was totally on his side! The ending was kind of sad, but bittersweet and I actually really enjoyed how it ended! I think that kind of closure is what a lot of people need, and I loved that relationship even if it had issues! Overall this was an okay read. I hate to say negative things because I know how hard authors work on their books, but I just could not connect with Renee, and I felt like for practically the entire book it was all about her and how much her life "sucked" because of the supposed things her brother does or did. There were some sweet moments that I loved especially the Valentines Dinner that was orchestrated! So cute! But I just didn't love it. That's all for my review of Holding On To Home, I hope you enjoyed it. As always, You may enjoy this book more than I did, and if you have read it, let me know your thoughts!